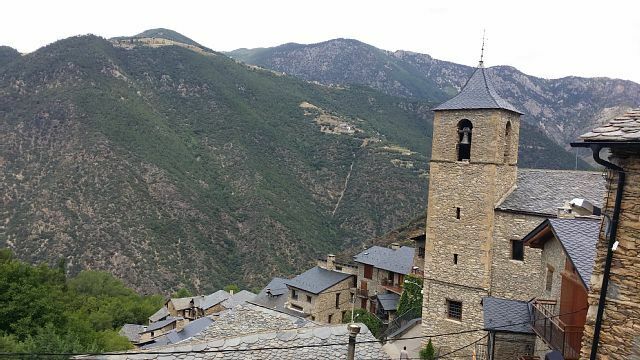 CAL GERARD IS A FULLY RENOVATED TOWN HOUSE 2017, EASY ACCESS TO 4KM OF FARGA DE MOLES / BORDER ANDORRA. ASPHALTED ROUTE, PARKING AT 10 METERS. 15 KM FROM ANDORRA LA VELLA, POSSIBILITY OF GOING FROM STORES, ATTENDING SHOWS, VISITS TO ROMANIAN CHURCHES, HEALTH TOURISM IN THE CENTER OF CALDEA THERMAL WATERS, AND IN WINTER AT 1H OF ALPINE SKI TRACKS AND 10 KM OF TRACKS SKETCH OF THE FUND OF THE RABASSA IN NATURLANDIA BY FOREST TRACK, WHERE ALSO A PARK OF WILD ANIMALS IS FOUND. wifi, fully equipped kitchen: electric oven, microwave, ceramic hob, dishwasher, cutlery, dishes, pans, pans, Nespresso machine, toaster , Washer, dryer, fridge / freezer. towels, sheets and bedding.